While today’s leading philanthropists and non-profit organizations each bring something unique to the table when it comes to creating positive change in the world, there are several tactics and approaches they have in common that contribute much to their successes. 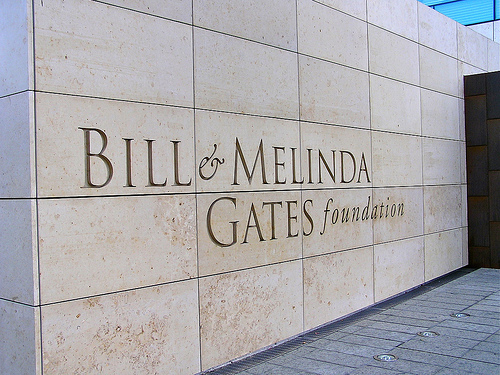 The Bill and Melinda Gates Foundation funds programs for global development, global health, and is working toward ensuring educational opportunity for everyone in the U.S. The Roberts Enterprise Development Fund (REDF), led by Founder and Chairman George Roberts also Co-Chairman and Co-CEO of Kohlberg Kravis Roberts & Co. (KKR), is working to create jobs by supporting non-profits in the development of their own social enterprises. The KKR Green Portfolio Program led by prominent philanthropists Henry Kravis, George Roberts, and Ken Mehlman are providing companies the tools to develop and improve their own environmental initiatives. Though these organizations focus their work on different sectors, they are built upon a similar foundation. What does this mean for creating positive change in this world? It tells us that creating change may not rely entirely on rocket science but perhaps, rather, a simple formula. This in itself can give us the confidence that, with innovation and teamwork, no social problem is impossible to solve.